At Freshpet, we'd like to think that the first best thing about the Super Bowl is the Puppy Bowl. 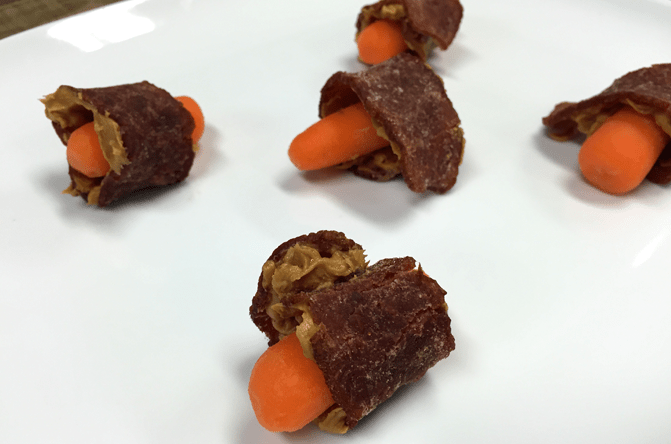 That's why at our headquarters we decided to make some fun, healthy, and easy pre-game appetizers for your dog. Our newest addition, Fresh from the Kitchen - Home Cooked Chicken Recipe is a flavorful yet healthy meal - making it a great addition for your pet's pre-game. 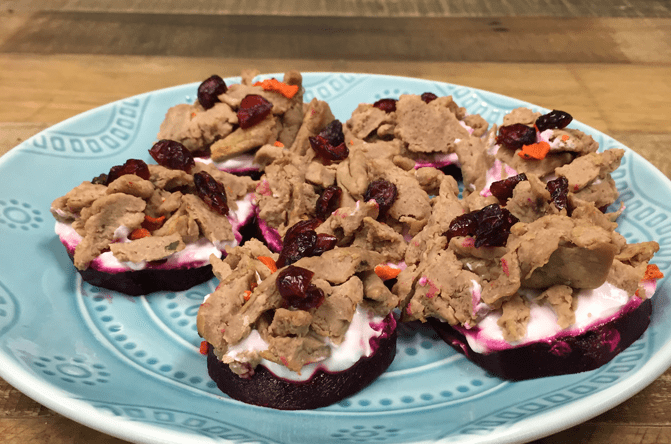 To make these bites, slice up naturally sweet beets to be the base. Then spread greek yogurt over the top. The yogurt will help to make the other ingredients "stick" and is healthy too! Next sprinkle shreds of chicken, carrots, and cranberries from Fresh From the Kitchen on top. Feel free to add extra cranberries. 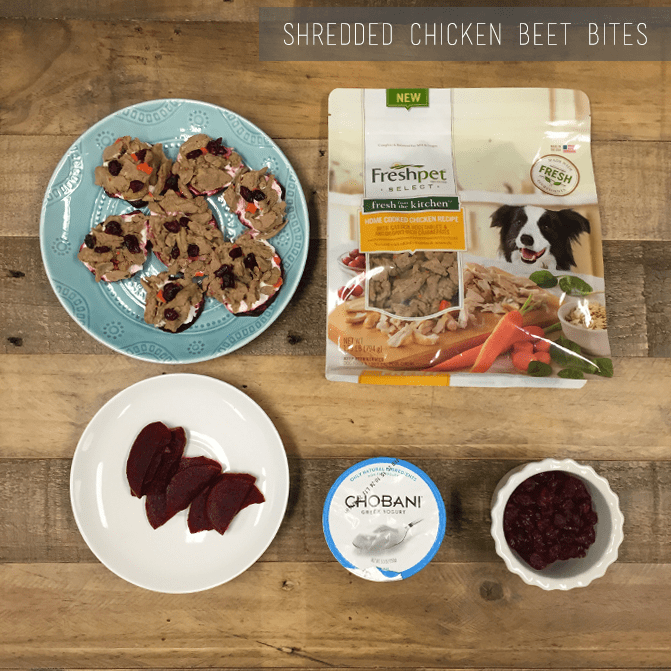 Health Tip: Beets are packed with iron, potassium, fiber, beta-carotene and vitamins A through C. Which means, they're great for both humans and pups! But they also promote great liver health as they have cleansing and detoxifying qualities. 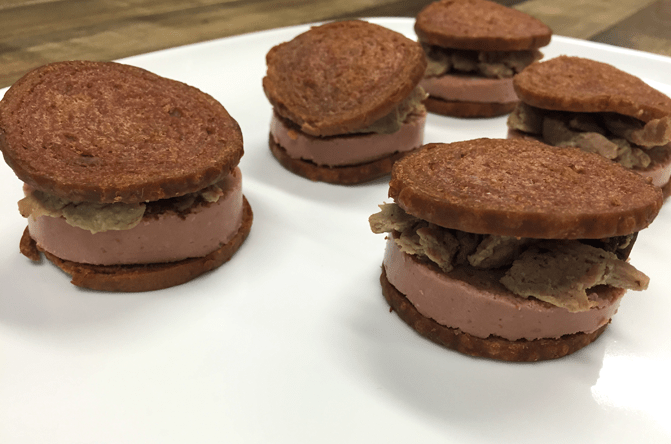 For all the meat loving pups out there, we made a slider entirely out of meat. Yes you heard us right. Use our Dog Joy Sausage Slices for the "bread." Then layer in thin slices of our Freshpet Select Tender Chicken recipe. 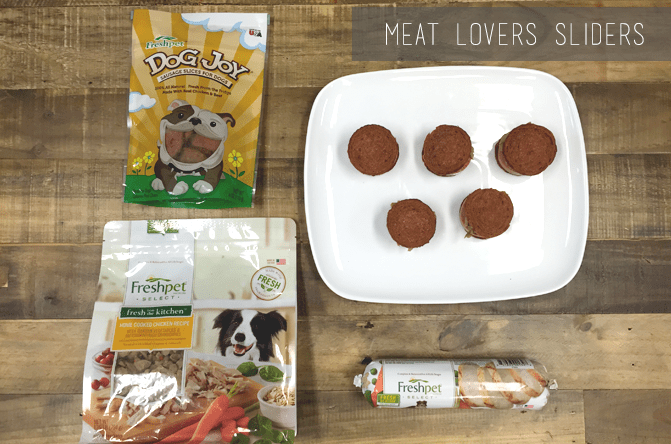 You can use any favorite Freshpet roll, but we recommend grabbing it in a 1 LB size, as it's perfect for these bite-sized treats. Then sprinkle in shredded pieces of Fresh From the Kitchen. 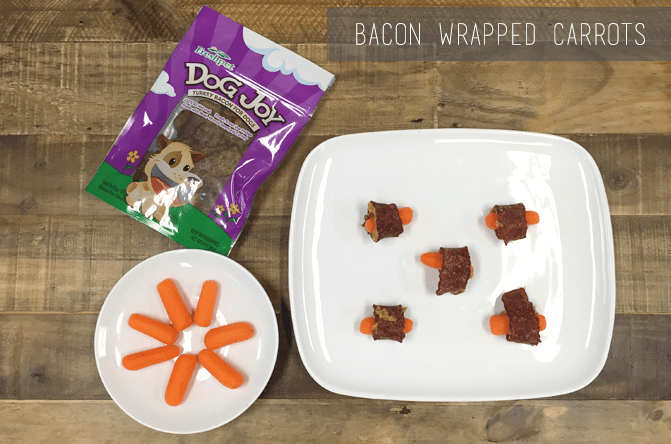 It's a mouthful that will keep your dog content during the game. Love the idea of fresh products.